"Yes, You Can Make It In Fashion" is a new HuffPost Style series that profiles men and women across every area of the fashion industry and explores how they rose to the top, how they thrive and practical advice they have for young people trying to break into their world. 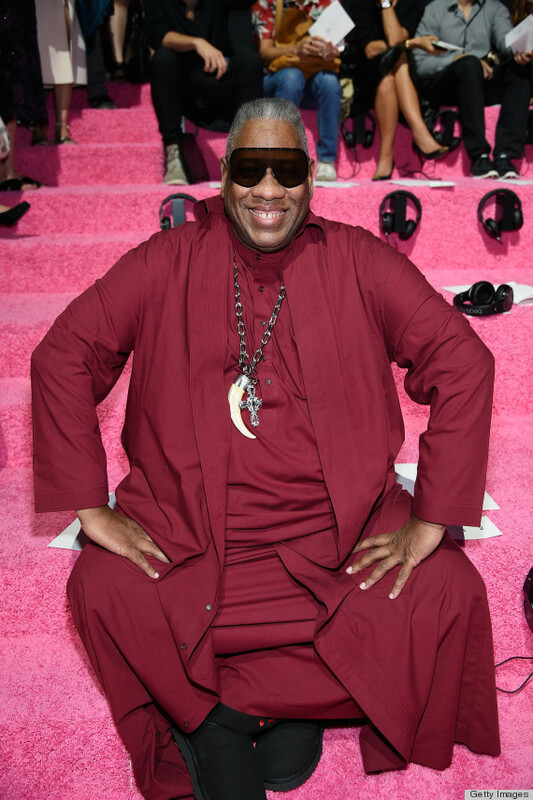 Very few people have a resume that can rival that of Andre Leon Talley. Born in North Carolina, the 65-year-old fashion pundit has worked closely with Andy Warhol at Interview Magazine, Diana Vreeland at the Metropolitan Museum of Art and Anna Wintour at Vogue -- so you could say he has the most impressive list of mentors in the biz. For a man with a personality that is larger than life and a longgggg list of accomplishments -- among other things, he has written books, served as a judge on "America's Next Top Model," hosted an Oscars show and received an honorary Doctorate of Humanities from Savannah College of Art and Design -- he is one of the warmest, most impassioned people we have ever met. We got to chat with the current artistic director of Zappos Couture on how he transitioned from print to digital, his biggest career regret and how the lack of diversity in the fashion industry has ultimately affected his career. My first big job was with Andy Warhol at Interview Magazine. I was deeply insecure. I knew I wanted to be in fashion, but what I think impressed people is that when I opened my mouth and said something, I had done my homework. My advice to young students is: do your homework; research; read everything. You must have something to say that is based on something. So I could go to an event and could connect that fashion moment to something and I think people were impressed by that. [The] biggest takeaway I got from Vogue, but I also got it from Women's Wear Daily where I worked, too, is meet your deadline; be way ahead of your deadline; get it in. And if it has to be edited, that's fine, too. Present what is considered the attitude. That was one of the biggest things I learned. That may sound snobbish, not the attitude, but the attitude of confidence. The attitude that you know what you are talking about. The attitude of confidence in your personal deportment, in your personal statement about clothing, as well as in your presentation for the magazine. Represent the magazine with the attitude that is engaging and rewarding, inviting, not intimidating to the industry. 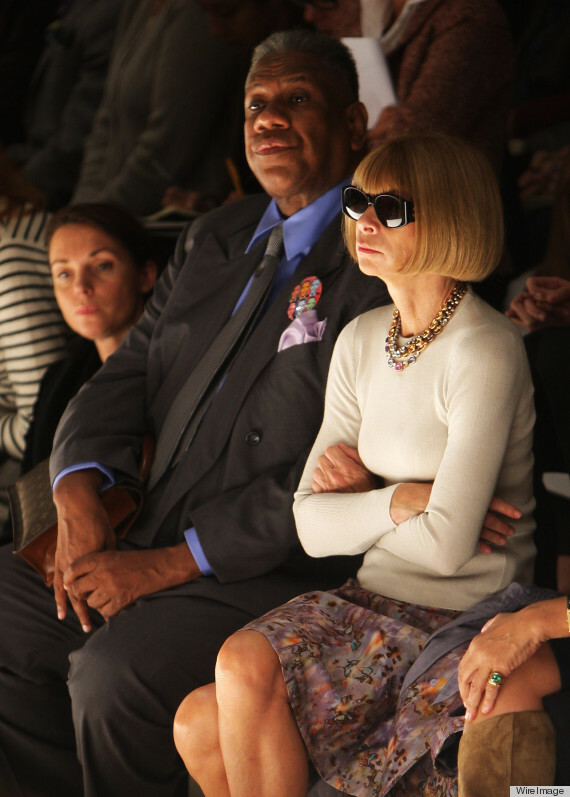 Anna Wintour is a marvelous woman. She just knew who she was and where she was going early on in her career. And she is more than optics, she is more than a glamorous facade. The first lunch that we had, which was a working lunch, we left the office at 12:45, we sat down at 1 o'clock and at 1:13 when I was just about to bite into my entree she said, 'Oh, that's it. Let's go back to the office. We have discussed everything.' She's quick at the draw and she knows firmly what she wants -- she doesn't need to mull over it. It was the shortest lunch I've ever had in my life. And that's the way she works. She's a great visionary in a way because she is a businesswoman but she just knows how to put things together and they become something wonderful for the world. It's quixotic and you can't quite figure it out. You simply have a different kind of schedule. You don't have to have meetings, you have to wing it on your own and just wait for the thing to be up on digital and see the response and the clicks. I mean when you're in the culture of the magazine, there is the art director, there is the editor, the editor-in-chief, the line editor, there are so many people involved in your page, it takes a village. So you have many opinions before your page is finally edited. With me and online, it's my point of view and then it's put on the page and let's just see, is it going to work? How many African-American or any diverse ethnic individuals do you have at the heads of any of the high niche magazines or high niche design brands? You can count them on one finger. How many people are there that have broken the glass ceiling? There are very, very few. And you know the world has really not changed and you have to be acutely aware of the world around you. One of the reasons that I think the world has not changed, being a black man, is that people try to look at me without color, but color is always there. The whole Ferguson situation was a throwback to me of the late fifties and growing up in the South and the civil rights era. This is always a permanent part of the American mainstream. And people do not feel comfortable addressing it. Therefore there are ceilings that I have not broken that I should have broken already and one is television. And it is always shocking to me how many people have tried to get me a television show of my own. [But] when you think about the world, the world does not accept uniqueness, the world does not accept difference. Do you know how hard it is for me to come out wearing this? What some people consider a dress? What I'm wearing is what men in North Africa wear everyday. It takes a lot of courage to get up and to be me. And I think it takes a lot of courage to even get up and face the world because the standards of the world aren't always necessarily my standards, but I live in the world of success, I live in the world of whiteness and success. But I also must always look over my shoulder and see how many people have broken ceilings. How many people in the world of fashion have maintained these huge brands? Can you name a black designer that you know who has a huge brand? No. There is not one. I was given the greatest opportunity to write the definitive biography of Yves Saint Laurent and I didn't do that. I would say that -- I'm not going to make excuses and say that I was too young -- but that's the one thing that I regret. I was given this great opportunity and it could have been a defining moment, a legacy, and I had the contract and I didn't do it. I don't think about that everyday, but that is my one big regret. A great socialite from Philadelphia, her name was Mrs. T. Charlton Henry, told me a long time ago to just keep smiling. I interviewed her once for W and she said you just smile, that's the greatest thing that you can do is smile at people.